Hum … I don’t really know too much! I ‘m a bit disappointed, I have to admit it. 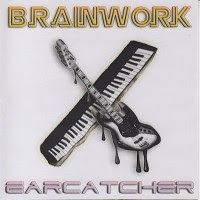 I who am a very big fan of the poetic and ethereal EM of Brainwork, I stumbled over Earcatcher. For quite some time, a new musical current seems to develop in Germany; soft techno of Berlin School style. Stemming from line thinking of Moonbooter and Robert Schroeder, this musical movement allies soft steam of a hypnotic and minimalism Berlin School to rhythms sometimes sober, mesmerizing and\or furious. And it is exactly the musical envelope of Earcatcher. An album of which the musical bicephalous identity of Uwe Saher pours into the tempting rhythms of Element 4, his Alta Matter.A soft pad of a vaporous synth opens the paths of Morning Run. These some 3 seconds will be the only ethereal moments of Earcatcher who is literally conceived to hook the ears …and feet, except at some rare moments. I’m not saying that Earcatcher is explosive or that we struggle on a dance floor, but Earcatcher distinguishes itself from the usual EM with steady rhythms that are rarely interrupted by more ethereal passages. Let say that it carries pretty well its naming! A continuation of skipping chords wriggles with a good line of bass, moldingbeginnings of this 13th album of Brainwork. Between funk and synth pop to unbridled chords, Uwe Saher displays all its knowledge by sprinkling this long title of beautiful melodious passages where the synth becomes lyrical and mould beautiful twisted solos on a hybrid structure. Although strongly livened up, the dance and kicking sides that moves on Earcatcher are brilliantly adorn of subtle melodious chords which embellish an opus that would be devoid of emotions, as prove on In has Groovy Mood and Sunset Lane and tracks to more lively or dreamily structures. On the Funky Side presents line of bass which draws a slightly funky structure on arpeggios which collide delicately and a line of synth which waves languishingly while freeing beautiful solos. As on most Earcatcher tracks, the structure of On the Funky Side switches around to offer a variance in harmonies. So beautiful Tablas percussions are add, creating a hyper melodious impact à la Tangerine Dream sauce with Iris Camaa’ percussions, making of On the Funky Side a title with a soft melodious rhythmic, quite as the exotic Gamelan and Miami Vibes. Happy Hearts plunges us into frenzied rhythms with a voracious line of synth of which notes skip fervently on percussions from which the twinning gives the impression to be constantly in a perpetual wild race. Big techno as well as loud synth pop heavy and catchy which suits very well the naming of Brainwork new opus. A carousel of crystal clear arpeggios dancing lasciviously in limbo of the dream opens the intro of Scrolling Waves. A soft title a little misled in the rhythmic structures of Earcatcher which reminds the soft universe of Food for Fantasy. Very beautiful, quite as the romantic And of a Day, Scrolling Waves is what comes closer of the poetic universe of Brainwork. Sunny Island is on the other hand what is closer of Element 4 with his weighty pulsations that bite a heavy bass line, hammering an infernal rhythmic, but strangely hypnotic, of which its weakened keys skip on a Mexican steams synth. A track at once heavy and catchy, as a majority of those that go along Earcatcher! Disappointed, but not too much! Even if by moment I have the strange feeling to be submerged by the musical structures of Tangerine Dream, areas 90’s and 2000, and several listening helping, I liked quite well this Earcatcher from Brainwork. Certainly, we are very far from the Berlin School style of Ten, Back to the Future and even Dreamland, except that Earcatcher is not just an album of dance and boiling rhythms. It is an album led by an intense and livened up musical life for sure, but an album where the soft sensibility of Uwe Saher can be felt in every hidden recess of its hectic rhythms. After an album so syncretic, abstract and atonal such as Cold, we were able of asking ourselves what could we expect from the Polish synthesist Tadeusz Luczejko. 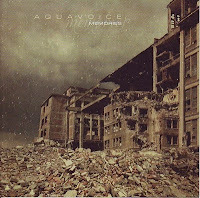 Memories, 8th album of Aquavoice and 2nd on Generator pl. label, is no more and no less an extension of Cold. An album of which the multiplicity of sound collages abounds in a heterogeneous musical fauna where the statism (fixity) and the abstract are in constant duality with soft harmonies, rhythms à la Portishead and Spyra on ambient passages which have nothing to envy of those from Brian Eno's surrealist musical world and electro acoustics of Plastikman. Creaking static noises astride a reverberating loop on News of the World opening. Percussions in felted banging charge on a pulsating line of bass, shaping a delicate tempo of soft techno which gives a minimalism rhythmic surrounded by strange dialects of an animal fauna discovered by Johannes Schmoelling on Wuivend Riet and a mixture of exotic languages. News of the World opens in strength and will be the only title of Memories to offer a good rhythmic constancy. North and News of the World II offers structures soft rhythmic tendencies, but they are a bit more smothered and tempo is developing gradually, after soft foggy passages. Nostalgy, Old Ship, Lonelyness and Mirror are familiar journeys where the abstract world of Cold merged with ill-assorted sound elements in a vase of ether. If you loved Cold, these will charm you for sure. Dancing Snowflakes offers an unknown variance by Aquavoice, a little as Memories, with a slight rhythm' groovy bass with a suave and warm tempo which embraces fragrances of a jazz misled in its spheres. Tracks that are very near the Spyra style. With its thunders and showers Autumn, quite as Labyrinth, brings a very melancholic, even gloomy touch to a sound universe always dressed in its tones as varied as the areas visited by a horde of artists to audacious sampling. After a heavy atonal intro, where voices of a parallelism world goes alongside to quirky tones of a syncretic universe, Tycho B. adopts a soft hypnotic swinging to light pulsations flooded in twisted resonances and synth to bewitching solos. A title which subdivides its structure to embrace a softer and moving final, shaping one of the good tracks on Memories. After the very introvert Cold where the rhythms were rarer than the oxygen on the Moon, Memories develops a soft rhythmic envelope with a multitude of nuances and feelings. Soft progressive tempos which cogitate between two worlds to cadenced paradoxes, submerged of a flock of sound effects at once innovative and standardized by groups such as Portishead, Death in Vegas and Chemical Brothers (especially at the levels of old lp’s static and clicks). In brief, it’s kind of a Cold but with more heat and relief! Aquavoice is the musical project of Polish synthesist Tadeusz Luczejko, who found its niche within the label Generator.pl; an interesting label of EM from Poland which is plentiful of very fascinating artists. Seventh album from Tadeusz Luczejko, Cold is a disconcerting abstract and ambient symphony, of which the syncretism of tones adds a surreal dimension in a sound collage stem from all the facets of equipments and imagination of Luczejko, creating an amazing abstract journey in a musical universe as ambient as a storm of wind on a crystalline plain. Cold I to III open this anarchic symbiosis with eclectic sonorities which abound in a sphere where the ambient crosses the abstract. Silky and wavering layers intersect themselves and howl such of spectral masses among fine droplets which stream on the walls of a cave from another world pave Cold I road. Already the contrast of places and the paradox of senses are mutual. The movement is superbly tender and the ambiance is deliciously resting whereas pulsations with tinny resonances hammer a strange procession of sounds which derive towards the oblivion of Cold II. Nothingness aromatized of motionless layers which are assail by light riffs of a discrete guitar and rattlesnake serpentines which untie their sonorities in a sound universe at the crossing of Brian Eno, Robert Fripp, Markus Reuter and some will advance the name of Harold Budd, which I do not unfortunately know. Cold belongs as much to the imagination of the listener as to the conceptual idea of its creator. Take example on Cold III where we hear someone breaking up wood in a Kitaroïan forest, whereas guitar pads circulate in loops between minimalisms and sporadic chord of keyboards, relegating to oubliettes the strange murmur of a hardly comprehensible feminine voice. Cold IV is quite simply charming with its keyboard notes that someone taps away to the drift and which come back in loop on a fine baseline and a xylophone of glass whose notes wriggle like elytrum of a metallic cricket, shaping a stunning sensual pulsation even if completely abstract. Cold V’ intro could have been straight from a Martian ritual exorcism that we won’t be surprise. Syncretic streak tear the quietude of a machine humming whereas a voice howls an unknown dialect, the universe becomes source of infernal din which is appeased gradually around the 3rd minute, freeing a rare peace which is soothing in the shade of a soft crystal tower. Cold VI follows on this ethereal softness with fine pads of a solitary synth which wander among soft and silky floating and fluty lines, bringing back Cold in the bosom of a more accessible work. Cold VII offers a morose approach where a voice of man mumbles in Polish on a slow and sad melancholic structure. A little as Vangelis on Blade Runner, Tadeusz Luczejko likes to let his notes sink in nothingness. 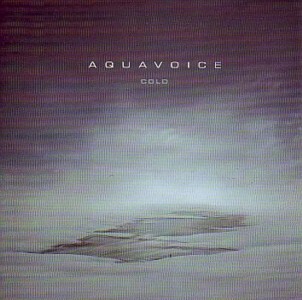 Notes that float and wander to be molded within forms and imaginations of Aquavoice’s cofounder. With its organ surges of which hem chimerical waves, Cold VIII is the most animated track on Cold. A beautiful piece where sonorities spark on the top of lunar seas weaved to a synth with stroller waves and twisted solos which ravel in a ball of multi-colored sonorities which collide in wadding forged of steel. One of the best tracks on Cold! A soft and discrete incantation goes with a synth from which waves and streaks filled of spectral zests wander windingly among Japanese guitar notes; Cold IX is as much intriguing as Cold X which borrows an unsetting and harrowing path with its furtive noises, its weak hooting and its doors which squeak in an odd cosmic nebula. A title that ties the throat, just like the intriguing Cold XIII. Incongruous background noises and resounding circles floating around minimalists chords, Cold XI swims on a beautiful and warmth bass pad. No rhythms, nor even the shade of a tempo, everything lays in suspension as on Cold XII of which the limpidity of the structure is based on beautiful morphic loops which undulate in this psychedelic-electro’s aura that surrounds Cold since its very first notes and which is concludes by Cold XIII and its heavy ethereal structure whose breaths push the imagination of the listener to the doors of darkness which prevails well beyond our borders. This 1st experiment with Aquavoice left me as perplexed as charmed per moments. Cold is an album difficult to tame because we are constantly immersed in a sonata for background noises in a constant search of an out of joint harmony. There are great moments. Strong and disconcerting moments, I think in particular of Cold IV, VI, VIII and XIII which make that us seeking to discover more on each listening. An undeniable sign of the immense depth which lives within Cold.